This blog post was authored by Jeff Woolsey, Principal Program Manager, Windows Server. We’re watching the calendar and counting down to Microsoft Ignite September 25-29 in Orlando, Florida. Ignite is a great way to see the latest and greatest products and technologies with hundreds of hours of content, meet with your peers and partners, and get firsthand experience with hands-on labs. If you’re already registered for Ignite, be sure to check the event catalog and start selecting your sessions. If you haven’t grabbed a ticket yet, there are limited passes remaining, so get one while you still can! As we countdown to Ignite, we want to begin a blog series that provides a sneak peek of the next release of Windows Server: Windows Server, version 1709. We’ll be launching Windows Server, version 1709 at Ignite, which builds on the innovation in Windows Server 2016, so let’s begin with a brief recap of some of the areas we focused on in Windows Server 2016. You are building new applications and you want to build these apps with the cloud as a design point and with the flexibility to run on-premises, in the cloud, or as a hybrid service that takes advantage of the best of both worlds. Provide a way for IT Pros to lift and shift traditional apps to Docker containers with Server Core. Enable cloud developers to write new cloud apps with Nano Server, .NET Core and Docker. From a platform standpoint, Windows Server 2016 is the first version of Windows Server to include container technology. Windows Server containers provide application isolation through process and namespace isolation. You can realize the benefits of using containers for applications—with little or no code changes with Windows Server Core. We then added Hyper-V isolation to Windows Server Containers to expand on the isolation by running each container in a highly-optimized virtual machine making it ideal for running in a hostile multitenant environment. Containers, Nano Server, Azure Container Service, and Windows Server provide a rich set of cloud enabling building blocks for true business agility in building always-on, scalable, and distributed applications to run in Azure, on-premises, or hybrid. One of the most innovative solutions delivered in Windows Server 2016 was the coupling of security and our hypervisor, Hyper-V, to create Shielded VMs. Shielded VMs are a groundbreaking new technology that makes a virtual machine running Windows a “black box” to protect against a rogue administrator or a virtual machine getting into the wild. Nothing in the industry compares to Shielded VMs. Windows Server provides the same Hyper-V hypervisor that we run in Azure, so you get the benefits of Azure’s requirements too. A great example of an Azure requirement being delivered to you is industry-leading scale. 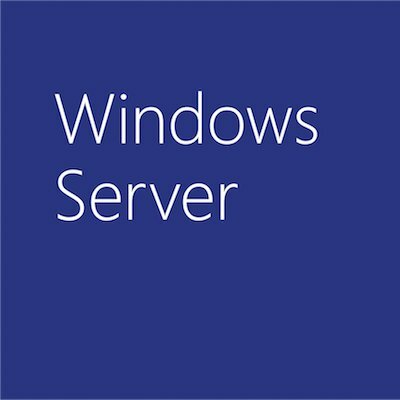 Windows Server 2016 supports the largest physical servers (24 TB RAM, 512 logical processors) and the largest virtual machines (12 TB RAM, 240 virtual processors). Those massive scalability requirements were driven by Azure, and we are happy to share the same technology with you in Windows Server. In terms of Software-defined Networking, we took our learnings from Azure and brought them to Windows Server with technologies such as the Azure Data plane, software load balancer, distributed firewall and more. With Windows Server 2016 we delivered Azure inspired, Software-defined Networking to be used on-premises, and these same technologies are also used by Microsoft Azure Stack. In terms of storage, we took the best performing Software-defined Storage stack and enabled new flexible hyper-converged deployment capabilities to build highly available, scalable software-defined storage solutions at a fraction of the cost of a storage area network (SAN) or network-attached storage (NAS). The Storage Spaces Direct feature lets you use industry-standard servers with local storage. We then added Storage Replica which provides both synchronous and asynchronous options to meet your business requirements. As we prepare for the Windows Server, version 1709 release, we also want to make sure that folks clearly understand the new release models, including the Long-Term Servicing Channel and the Semi-annual Channel. The pushback on a faster release was an interesting data point. It indicated we had two tracks of customers. One who wanted slow consistency and another who wanted continuous innovation. So, we tried another approach to better test this hypothesis. In Windows Server 2016 development, we began by releasing frequent Technology Previews (TP). We released a total of five technology previews throughout development. Each TP included additional features, and we partnered with users to help us make changes through development. There were many organizations who were so pleased with a particular TP release that they asked us if we would support them in production. The Windows Server 2016 development cycle only reinforced the notion that we needed two tracks, which is what we are now delivering with the Long-Term Servicing Channel (LTSC) and the Semi-Annual Channel. So moving forward, Windows Server is evolving to deliver innovation through two channels: The Long-Term Servicing Channel and the Semi-Annual Channel. Long-Term Servicing Channel (LTSC) – this is business as usual with 5 years of mainstream support and 5 years of extended support. You’ll have the option to upgrade to the next LTSC release every 2-3 years the same way folks have for the last 20 years. For those of you who want to innovate faster and take advantage of new features sooner, we are adding the Semi-annual Channel. The Semi-Annual Channel is a Software Assurance benefit and is fully supported in production. The difference is that it is supported for 18 months and there will be a new version every six months. If you have a legacy application that you rarely touch running in a VM, then maybe the LTSC release makes sense. If you have a new, cloud application that your dev team is building using containers and they want the latest and greatest container features in Nano Server/Server Core, then likely the Semi-Annual Channel is the right choice. The point is, we’re providing both options, and you get to choose which makes the most sense for you. Finally, whether you choose LTSC or Semi-annual Channel, you are in full control of patching your servers. To make the Windows Server versions easy to identify, we are taking a cue from the Windows team and refer to this release by the year and the month. In this case, 1709 refers to the year 2017, and the ninth month, September. Very straightforward. The way that we are delivering Windows Server moving forward offers more opportunity than ever to influence product direction, so please sign up to the Windows Server Insider Program if you haven’t already! In the next few blogs, we’re going to introduce areas of investments for the Windows Server, version 1709 for developers, security, Software-defined datacenter and management.